“Doing Business among friends”. Skål is not a community organisation like Rotary or Lions, rather it benefits and develops the professional sector, while assisting the community at large. 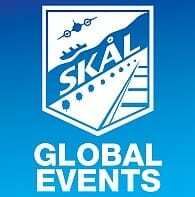 Skål is an Association of Tourism Professionals which encourages and creates a network of professionals around the world. It promotes seminars and conferences to strengthen the industry’s professionalism. Skål News, a magazine published quarterly, is a medium for information about the organisation and an avenue for advertising exposure to 15,000 industry professionals.